20,000 Pageviews – It’s Competition Time! My congratulations, and thanks, to one of my best friends (fix! ), Mr Ernie Jackevic! I’ve had a lot less time to think about this that I’d anticipated, but I think I’ve come up with a prize . . . The winner will receive the greatest movie of all time! And, what movie would that be, I hear you ask. Well, James Cameron’s 1986 sci-fi action classic, Aliens, of course! I’ve reviewed it on the site before, but I’ve found that the movie’s brilliance defies explanation. 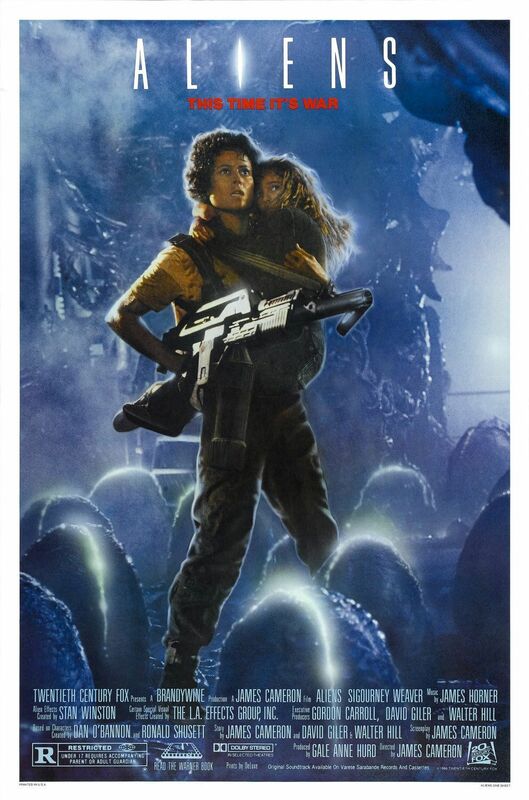 So, the first person to send me a screenshot of the site’s pageviews counter reading over 20,000 will be the recipient of a Blu-ray/DVD copy of Aliens (another prize can be arranged if you’re clued-up enough to already own a copy). You can find the full competitions details below . . .
To help with the Twitter entries, I’ll be using the hashtag #TheMurmur20k for any competition related posts. The fabled 20k is edging ever closer (19,768 at the time of writing) and I’ve decided to introduce a competition element to make the countdown even juicier! The first person to send me a screenshot of the site’s pageviews counter reading over 20,000 will win a prize. I’m not entirely sure what that’ll be yet, but I’ll certainly announce something as we approach the 19,900/19,950 mark. So, that’s a screenshot of the pageview counter reading over 20k, and then sending the image to me either via email, Twitter or Facebook and, if yours is the first to reach me, you’ll be the recipient of a mystery prize. It doesn’t matter whether it reads ’20,000’ on the dot or hits closer to ’20,050’, it’s all about being the first to get that screenshot to me. I will then contact the winner to finalise a delivery method etc. It doesn’t matter where you are in the world, I’ll make sure it gets to you in one piece (whatever it may be). 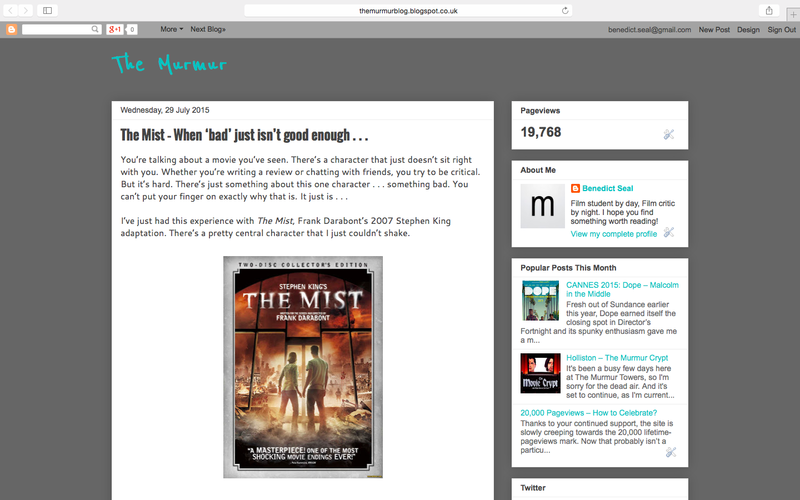 ← The Mist – When ‘bad’ just isn’t good enough . . .